Hello Tuesday dear Elizabeth and everyone at T stands for Tuesday. 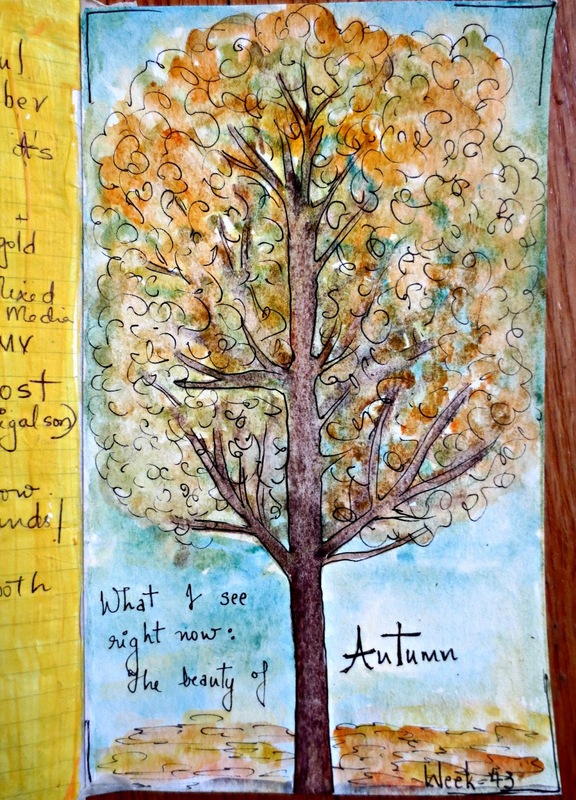 I'm continuing with my Fall Journal. 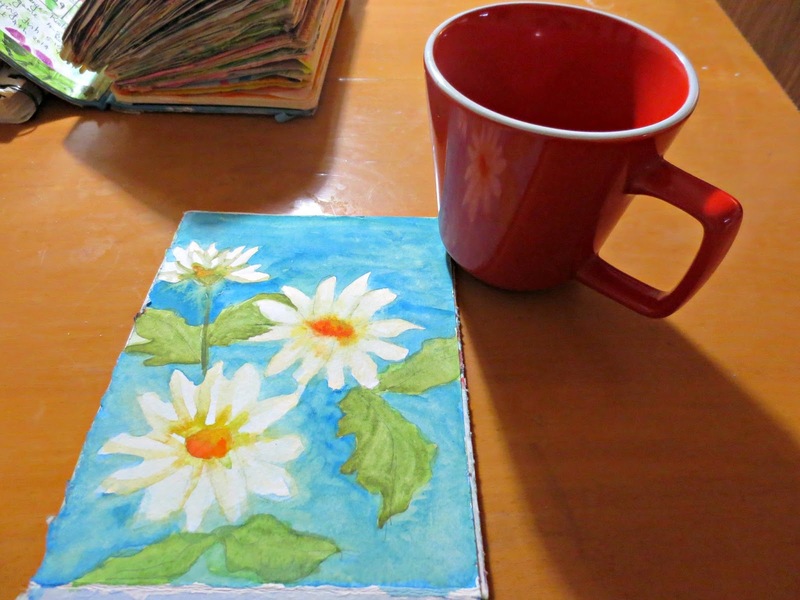 It is almost finished, two more sheets to go-:) Here is my regular morning cup of tea and the painting of few daisies. Week-43 Challenge at DLP was to sketch something that you see right now. 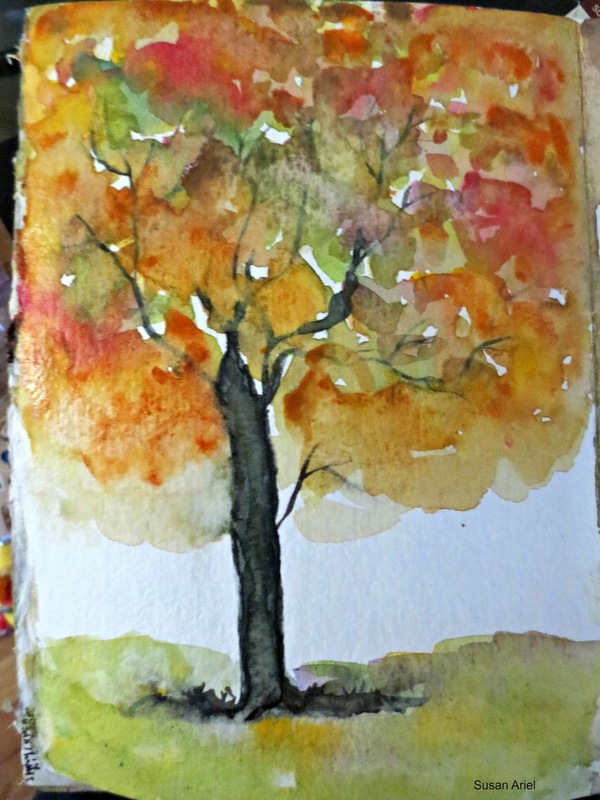 I did a fall tree in watercolor. Week-44 was to use Leaves in your page. I painted different types of fall leaves in watercolor. 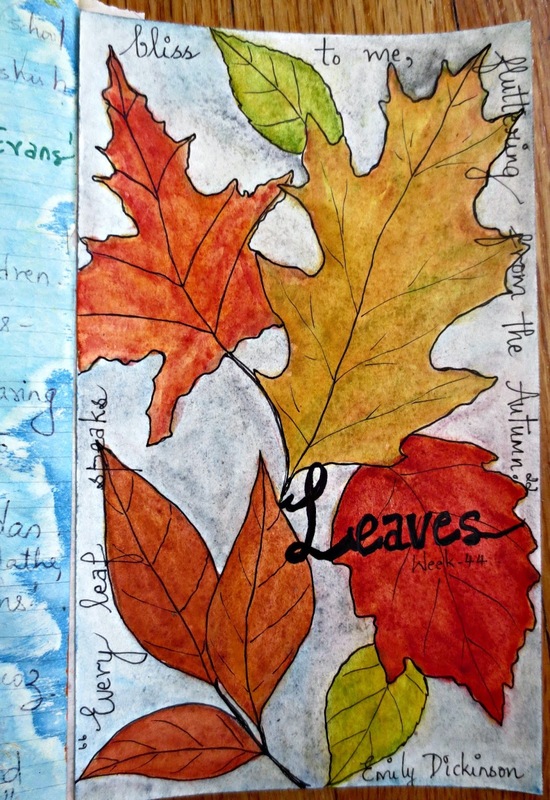 The quote that I added states: "Every leaf speaks bliss to me, fluttering from the Autumn." -Emily Dickinson. really lovely pages Susan. I love the soft quality they have and of course, the thoughtful quotes you choose for them too. Happy T day! Susan your artwork is so lovely and speaks to me so sweetly! Beautiful art work this week Susan. I adore all the fall colors. Very pretty pages you are creating! They are just wonderful :) Happy T day! 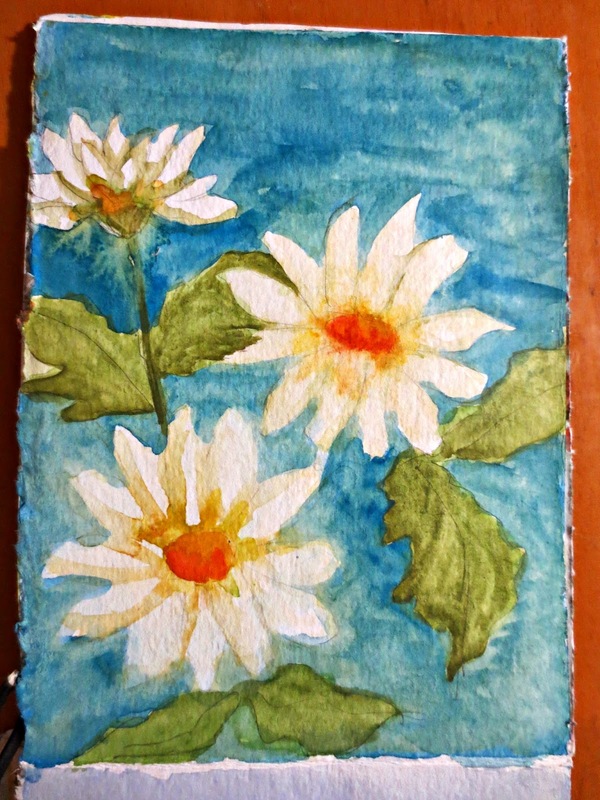 Your lovely watercolors really made me smile today! Happy T Day! Hello and Happy T Day Susan! So happy we are both here this week. Thank you for the comment on my blog. Sorry to hear your not feeling well though, I'm just starting to feel better from my cough. Hugs for you and hope you feel well soon. Susan, these are all beautiful and FALL, love love FALL!! You've captured the trees and colors so good. Daisies are so pretty and nice to see white mixed in with fall colors. LEAVES, always a favorite for me too. You have beautiful DLP pages. I am very impressed with your tree and leaves. Your art always makes me smile. You paint SO well. I think the DLP was just made for you and Dianne. These are stunning works. Looks like your autumn pages will soon be filled, just as we head into winter. Good timing. Thanks for sharing these beautiful pages with us, as well as your tea, for T this Tuesday. Sorry I'm so late getting here.